Africa Energy has announced the start of a new 3D marine seismic acquisition program over the Paddavissie Fairway on the Total-operated Block 11B/12B offshore South Africa. 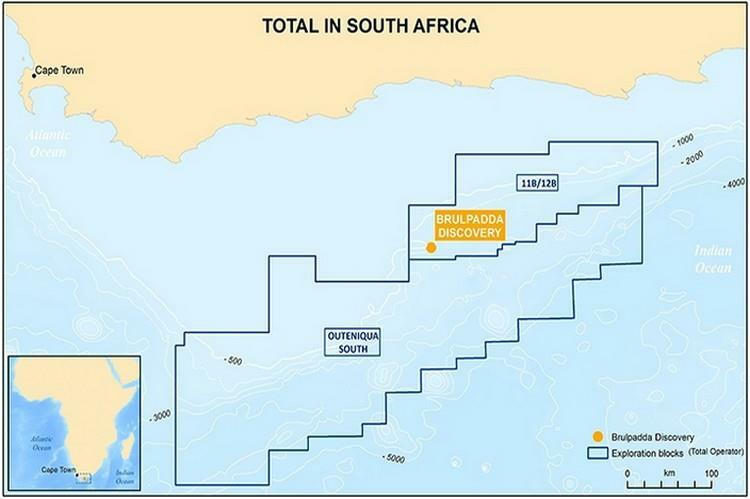 The Brulpadda discovery is located on Block 11B/12B in the Outeniqua Basin 175 kms off the southern coast of South Africa. The block covers an area of 19,000 sq kms with water depths ranging from 200 to 1,800 meters. The Block 11B/12B joint venture partners have contracted Polarcus to perform the 3D marine seismic acquisition program with the seismic vessel Polarcus Asima. Africa Energy holds 49% of the shares in Main Street 1549 Proprietary Limited, which has a 10% participating interest in Block 11B/12B. Total is operator and has a 45% interest in Block 11B/12B, while Qatar Petroleum and Canadian Natural Resources have 25% and 20% interests, respectively.